With mild springs and autumns and hot summers, a pergola is a perfect addition to almost any Melbourne home. Whether you leave the roof of your pergola uncovered, partly covered, covered by shade cloth or draped by a climbing plant, a pergola can be an extremely valuable and attractive asset. A well-designed and beautifully constructed pergola will be a fantastic spot to enjoy barbecues, alfresco brunches and a relaxing cuppa on a weekend. In addition, it will also add significant value to your house, flat or unit. Where will you locate the pergola? A pergola is usually built on the ground but can be installed over a balcony. In addition, a pergola can be attached to a home or be freestanding. It all depends on your needs and the layout of your home. What materials do you want to use in your pergola? Timber is an obvious choice as it’s great looking and economical to use. However, if you want a pergola that’s virtually maintenance free and will last a lifetime, aluminium could be better for you. Make sure you consider the style of your Melbourne home. When installed, a pergola should match your home perfectly. 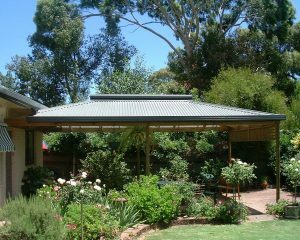 Outside Concepts in Melbourne will make the design and installation of your pergola easy. We’ll help with all the important decisions and take care of the paperwork, including council plans. What’s more, with our free onsite design and quote service, you’ll usually know the cost of the project straight away. So what are you waiting for? Take a look at our website for more information or phone us on 1800 601 674 to organise an Outside Concepts specialist to visit you.